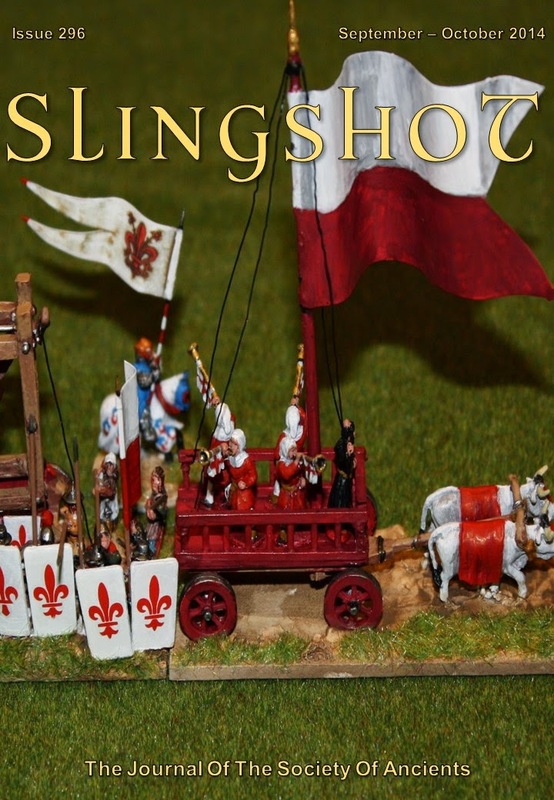 There was a pleasant surprise in the letterbox here Thursday night – Slingshot 296 from the Society of Ancients had arrived. The contents of this edition include: the Macedonian Cavalry Wedge; War, Games and Wargames (4); Destrier Rides Again! ; Books and Game Reviews; and Battle Reports from the Society’s Battle Day, on Montaperti, 1261 AD. That is all! I am now too busy reading!